Usage Trucks are one of the mainparts of a fingerskateboard. 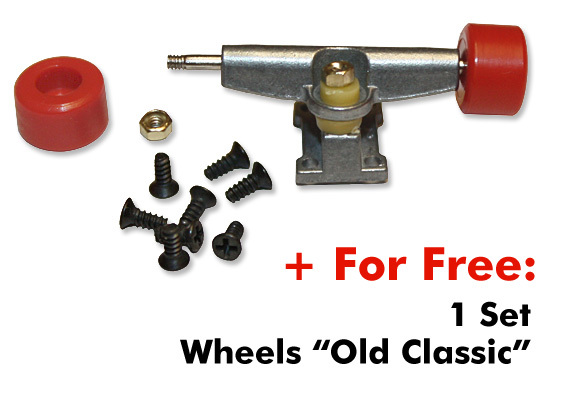 With each order you get 1 set of Old Classic Wheels (in black, white, blue, green, yellow or red) for free !! !